Aiming at the Android and BlackBerry user who wants to give the iPhone a whirl, Apple is reportedly working on a new plan to entice owners of the rival smartphones into trading them in for gift cards inside Apple Stores. These gift cards would then be used to purchase a new Apple iPhone model. 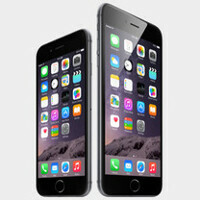 The plan is similar to Apple's trade-in program for current iPhone users. Following a period of time during which Apple will train its staff inside Apple Stores, the program will begin. Store employees will be charged with determining the value of a trade-in based on whether the handset is still functional, and how it looks. If a transaction occurs, an Apple Store employee will be able to transfer over the customer's contacts list to his new iPhone, but other data and content will have to be moved personally by the consumer. While the original plan was designed to upgrade iPhone users to Apple's latest models, a version of the plan was added last summer for iPad users looking to move up to the latest version of Apple's tablets. Apple started the program in the summer of 2013 in conjunction with Brightstar. At the time, the goal was to expand sales of the Apple iPhone 5. Apple still relies on Brightstar to adjust its algorithm for iPhone trade-in prices, so we will have to see how much autonomy is given to Apple Store employees when giving a price for a prospective non-Apple trade-in. One person on ars said apple gives $35 for a 32GB iphone4s. What will they give for an android phone, $5? Such pricks. Unless you don't own a flagship device, I don't see the point in them doing this. Any one who has a Galaxy S or higher shouldn't even be remotely enticed. With the Galaxy S6 only weeks away, I wouldn't even be considering an iPhone 6/6+, even if I had the most crappiest phone ever made. Sorry going from my Note 4 would be a huge downgrade. I would lose an impressive 1440p display, quad-core cpu,more ram, better cameras, mass storage and more. Sorry Apple, but this seems desperate. I think they know a 75M sells quarter isn't gonna happen for a good little while. Judging from these responses, Android users are not going to go for this trade in, viewing it as a downgrade. I must say, as a BlackBerry user, of the Passport at that, I wholeheartedly agree. I remember when BlackBerry was offering a similar program and iOS users were calling them desperate, as it was a trade in program for iPhone users to get a Passport. If that was the case, what does this make Apple? Smells like desperation to me. Serious desperation. No way would I downgrade my Nexus 6 for any iOS device. That's retarded. And I'm quite sure BlackBerry users feel the same. Agree. Who the hell would want to use a outdated 2012 phone? Wait, wait wait..... Let me guess...? Yeah the showoffs, who wants to pose with the Apple emblem, just to fit in the crowd, and look cool. Yep apple is definitely desperate. They have a lot of reason to be that's for sure! Hardly surprising that on their own website, Apple are explaining to potential customers why the iPhone is that smartphone they should choose. All companies do this. The tone has changed a bit though. Apple have previously steered clear of mentioning their competitors, but that most recent page talks about other mobile systems. Yes, they're responding to a competitor's major product launch and trying to convince you that their phone is the best. Isn't that what they should be doing though? Hey I'mnotagenius. Desperation? Yeah Apple is desperate to sell 74 million iphones and make $18 billion dollars in profit in 3 months? Oh my bad. They already did that. How is that Blackberry stock trade working out for you. I'm up over 30 points on my Apple trade and I'm "Desparate" to get to 50 points. 99% of all Apple hate is based on nothing factual. Read these comments for proof. Hey, kindlestalker...how are ya? I don't know why I have to keep repeating myself to you, but let me type it nice and big so that you'll see it: I DON'T GIVE A RATS SCRAWNY BEHIND HOW MANY HANDSETS APPLE HAS SOLD, HOW MUCH MONEY THEY MADE, OR HOW THEIR STOCK IS DOING. There. Got it? I hope so. And your rationale of "99% of Apple hate is based on nothing factual" is something that ANY OEM can be substituted in there for. Get your head out of the reality distortion field. You think Apple isn't doing this out of desperation because even they know there will not be a repeat performance of selling 74 million bending, buggy software ridden handsets with sub-par features? You think that this wasn't mostly upgrades due to a larger screen size? You think that, for all of the profit that Apple is making, that they can't put that money to better use to make an even better iPhone, as opposed to rationing out upgrades to the handset and people overpaying for it? Think again. You will of course respond with some crap about Apple making money and nobody is forced to buy the iPhone, yadda yadda yadda. But guess what? They can do much better for all the profit they pull in, and it's blinder wearing, wool-over-the-eyes individuals such as yourself that foster Apple's "not doing better even though they can do better" tactics. Interesting point! Let's just hope they will give a serious discount and not just $50 off! Lol, it's funny how irrelevant Windows Phone is Apple doesn't even pay attention to them but still pays attention to BlackBerry lol that's sad. What if I want to trade an iPhone for an Android phone? It won't work because you essentially have two kinds of android users - the cheap ones that want a budget phone and won't get much credit for trade in on a very expensive iPhone... and the enthusiast power user, who wants the open architecture and flexibility of an android flagship and not the closed ecosystem in iOS.